Tired of not sleeping in the position you want? Does your CPAP get in the way when you sleep on your side or stomach? Do you get red marks and irritation from your CPAP mask? Does your headgear ever feel uncomfortable or ill-fitting? Not anymore. 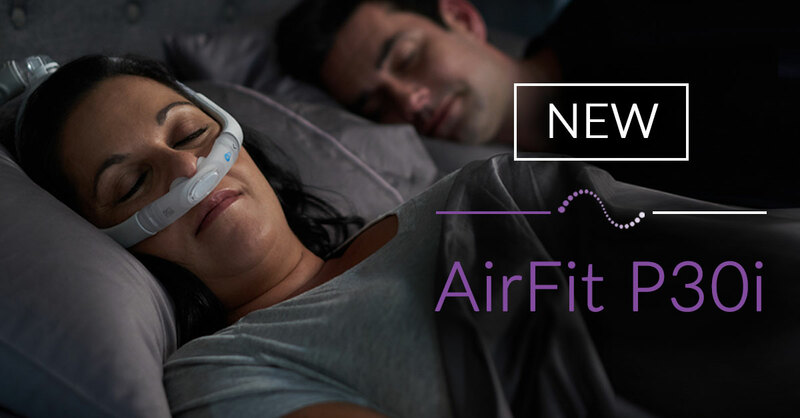 Solve all of these problems with the brand new AirFit P30i Mask, ResMed’s most innovative nasal pillow mask yet. How does the P30i help? Tube on top and minimal design: Gives you the freedom to read, chat, and wear glasses before bed, and to get closer to your bed partner — no matter what position you sleep in. QuietAir Vent: Woven-mesh vents makes it 80% quieter than the market-leading gel pillows mask. SpringFit frame: The frame automatically adapts to fit you. Easily get a personalized, secure fit with every use. Quick-release elbow: Signature feature to make taking your mask on and off easier than ever. Soft sleeves: More comfort, fewer red marks. Take the step towards a more restful sleep. 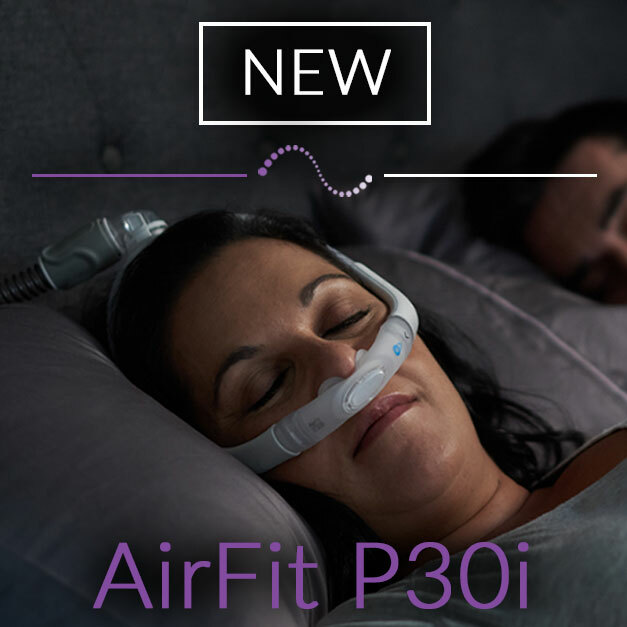 CPAP users will be in good hands with the AirFit P30i. You can sleep the way you want, get closer to your bed partner, and simplify your bedtime routine. Why wait any longer to sleep more restfully on your own terms? Try the brand new AirFit P30i now! Previous Post:SoClean 2 CPAP Cleaner Just $99 Down Today!